We’d love your help. Let us know what’s wrong with this preview of Ghost Month by Ed Lin. To ask other readers questions about Ghost Month, please sign up. Ghost Month is set mostly in the bustling night market in Taipei. The protagonist, Jing-nan runs a food stand there, which he inherited from his parents. He also inherited a huge debt that was initially incurred by Jing-nan's grandfather and which has been passed down to him along with the food stand. Jing-nan once had dreams of escaping to America, going to college there, and then remaining in the U.S., along with his girlfriend, Julia, who has been the love of his life since high school. But t Ghost Month is set mostly in the bustling night market in Taipei. The protagonist, Jing-nan runs a food stand there, which he inherited from his parents. He also inherited a huge debt that was initially incurred by Jing-nan's grandfather and which has been passed down to him along with the food stand. Jing-nan once had dreams of escaping to America, going to college there, and then remaining in the U.S., along with his girlfriend, Julia, who has been the love of his life since high school. But the death of Jing-nan's parents has left him with no choice but to drop out of college, return to Taiwan, and take over the family business. His dreams shattered, Jing-nan returns home, still harboring the faint dream that he will someday, somehow escape this destiny and reunite with Julia. He has told her, though, that he will have no contact with her until he is able to do so. Several years have now passed, and his dream has largely disappeared. Ghost Month, which generally falls in August, is a very superstitious time for many residents of Taiwan. They are particularly attentive to the spirits during the month, and their conduct is circumscribed by the traditions that accompany the month. Jing-nan is not religious and believes in none of this "nonsense." But reading the paper one morning, he is shocked to see that Julia has been murdered. Without his knowing it, Julia too had returned to Taiwan and had been working as a "betel nut beauty"--a scantily clad woman who sits in a roadside stand and sells betel nuts to passing motorists. The job is only a small step short of prostitution and Jing-nan is stunned to learn that Julia has returned and that she has been reduced to these circumstances. Grieving, Jing-nan pays a courtesy call to Julia's parents. They believe that the police are making no significant effort to find Julia's killer and ask Jing-nan to see what he can discover. Jing-nan agrees and soon finds that he's stirred up a hornets' nest and that he's now in serious danger himself. This is on the whole, a very good book. My only complaint is that Lin has spent so much time developing the setting that the story suffers in the process. He devotes a great deal of time to the social, cultural, political, and economic conditions on Taiwan, and as a result the reader feels as if he or she were actually on the island, riding behind Jing-nan on his moped. The problem, though, is that every time the story begins to gain momentum, Ling detours off into a discussion of local customs or some such thing, and the tension drops about four levels. I won this on the Goodreads giveaway. And I am SO happy I did!! Bear with me I'm not great with reviews but I'm going to try because this book is excellent. Jing-nan and his high school sweetheart ,Julia, made a promise to each other that they would not speak until they went to America ,graduated from college and made a life for themselves. Jing-jab would then go find his love and they would marry. Things don't work out that way. Julia was killed and Jing-jan gets in deep when he tries to figure I won this on the Goodreads giveaway. And I am SO happy I did!! Bear with me I'm not great with reviews but I'm going to try because this book is excellent. Jing-nan and his high school sweetheart ,Julia, made a promise to each other that they would not speak until they went to America ,graduated from college and made a life for themselves. Jing-jab would then go find his love and they would marry. Things don't work out that way. Julia was killed and Jing-jan gets in deep when he tries to figure out what really happened. A sidewalk noodle shop in Taipei City's Shilin Night Market during summer's Ghost Month (when "supposedly the gates of the underworld are opened and spirits of the dead are allowed to walk among the living once again") is the vivid backdrop for Ed Lin's "Ghost Month." Protagonist Jing-nan has no interest in appeasing ghosts. He's still bitter that a few years earlier his parents died and left him the noodle shop saddled with staggering debt. Meanwhile, his high school sweetheart and love of his A sidewalk noodle shop in Taipei City's Shilin Night Market during summer's Ghost Month (when "supposedly the gates of the underworld are opened and spirits of the dead are allowed to walk among the living once again") is the vivid backdrop for Ed Lin's "Ghost Month." Protagonist Jing-nan has no interest in appeasing ghosts. He's still bitter that a few years earlier his parents died and left him the noodle shop saddled with staggering debt. Meanwhile, his high school sweetheart and love of his life has been murdered. He hadn't seen Julia since they were both students at NYU. He was appalled to learn that she'd been working in a betel-nut stall where girls wear next to nothing as they hawk the addictive nuts to "disgusting men with ugly, red-stained teeth" who try to cop a feel along with their betel-nut chew. The novel starts slowly, hooking the reader with a rich sense of place, exotic food, and delightfully eccentric characters as each night Jing-nan turns on his "Johnny-night-market persona." <25> Like a carousel barker he lures tourists to his noodle stand. During the day, he's himself again, and the story turns dark as he's increasingly convinced that there is more to Julia's murder than the news reported. Police are at best inept and at worst corrupt, and when he begins to investigate he's threatened by a local gang and, more ominously, by a pair of American thugs. The plot twists come fast and furious as the story reaches its climax. Come for the exotic food and rich setting; stay for the characters. I really wanted to like this book and was thoroughly entertained through the build up. Being Taiwanese-American, it was fun to read about Taiwan. However, the big reveal lost me. The pieces don't fit together and you're left with a feeling that all the history about Taiwan, ghost month, and politics was gratuitous. It was almost like the author wanted to write about Taiwan and needed an excuse to do so, thereby creating a mystery that came out of left field. The setting is pretty amazing--Taipei, about which I know almost nothing. It's a diverse and vibrant place, corrupt and lavish and full of contradictions. The food, too, is really remarkable. Lots of descriptions there. And the main character is an interesting figure. The problem is that the plot felt sort of slack to me--as the main character seems to be sort of slack. So I had to push myself through the book in the end. Not sure I'd go for a second if there really is one. 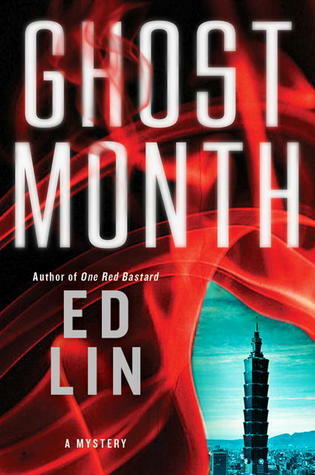 I sought out the mystery author's table at Book Expo in May to pick up a signed copy of Ghost Month for my husband, who often travels to Taiwan. I was intrigued to hear that the book is set in one of Taiipei's famous night markets. Unfortunately, the night market is the most engaging character in the book. Lin is a Taiwanese American, and he does a terrific job bringing the vivid sights, sounds, aromas (sizzling meat skewers, burbling hot pot and the noxious stinky tofu) to life. If only he coul I sought out the mystery author's table at Book Expo in May to pick up a signed copy of Ghost Month for my husband, who often travels to Taiwan. I was intrigued to hear that the book is set in one of Taiipei's famous night markets. Unfortunately, the night market is the most engaging character in the book. Lin is a Taiwanese American, and he does a terrific job bringing the vivid sights, sounds, aromas (sizzling meat skewers, burbling hot pot and the noxious stinky tofu) to life. If only he could have done the same for his characters. Sadly, I found the purported "hero" of the story, Jing-naan, a stall owner at the night market, completely charmless. In fact, he came across as whiny, self-absorbed, narcissistic and remarkably obtuse. He spent most of the book mourning the murder of his high school girlfriend, Julia, who he intended to marry someday. But he hadn't seen her for years because he was too proud to admit he had left college in the U.S. after the death of his parents and was barely scraping by, living in an illegal building and driving an old moped. Jing-nan is surrounded by stock characters - the only interesting ones are his employees at the market, and the new girl he meets at his favorite music store. I found him more and more annoying as the story progressed. What a shame Lin didn't create a protagonist with some depth, nuance and spice to match his setting. The resolution of the plot felt very formulaic as well. His previous series was highly praised by S. J. Rozan, a mystery author I greatly admire. So perhaps it is worth a try ... but I will not be back for a return helping if Jing-nan makes a return appearance. He is definitely not my cup of green tea. This story is set in Taiwan and uses the setting to give us history of the island and the people who live there, in particular the local character and color of Taipei. It felt fine to be in this book. Jing-nan runs a food stand in the Taipei night market, a stand that his grandfather started and has been passed down through his father to him. One day he sees in the news that a binlang girl (betel-nut beauty) has been killed and it is his girlfriend that he had been planning to marry. He had not This story is set in Taiwan and uses the setting to give us history of the island and the people who live there, in particular the local character and color of Taipei. It felt fine to be in this book. Jing-nan runs a food stand in the Taipei night market, a stand that his grandfather started and has been passed down through his father to him. One day he sees in the news that a binlang girl (betel-nut beauty) has been killed and it is his girlfriend that he had been planning to marry. He had not seen or talked to her in seven years but they had an agreement. He is shocked as he thought she was in the U.S. Being a binlang girl is I guess the equivalent of being one of those mostly naked baristas at a drive through coffee house, except that betel-nut is less acceptable than coffee and these betel-nut beauties are often offered as prostitutes as well. Jing-nan's betrothed had always been top of her class, tons of potential. So why had she been working such a low class job and who killed her? Jing-nan sets to find out. He gets threatened, beat up, lied to, his bike is tampered with so to cause an accident, his house is set afire. Someone does not want him to find out. 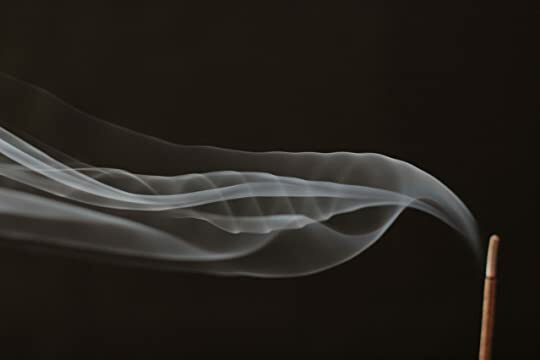 As well, it is Ghost month and most people are being very careful not to anger ghosts and to burn effigies of money and possessions to their ancestors. Jing-nan doesn't believe in any of that stuff. But his dead girlfriend comes to him in his dreams. And there is a new girl in his life. Can he/should he fall in love again? What does he owe to his old girlfriend? I picked up this book (not my usual type, as I'm usually a science fiction/fantasy fan) because a friend of mine has recently moved to Taiwan, specifically Taipei. What I wanted from this book was a sense of day-to-day life in Taipei. I hate to admit it, but I literally knew next to nothing about Taiwan or its people and was really looking for an easy way to absorb some information about a country that is completely new to me. I got exactly that experience from GHOST MONTH. Or, at least, I got en I picked up this book (not my usual type, as I'm usually a science fiction/fantasy fan) because a friend of mine has recently moved to Taiwan, specifically Taipei. What I wanted from this book was a sense of day-to-day life in Taipei. I hate to admit it, but I literally knew next to nothing about Taiwan or its people and was really looking for an easy way to absorb some information about a country that is completely new to me. Or, at least, I got enough of it so that I feel that when I write to my friend (we've become old-fashioned pen pals), I will be able to do so with a better sense of the sort of things she might be seeing as she takes the train to work or wanders through the various night markets. A fun romp through Taiwan. Having partially grown up in Taiwan, it was fun to see an entire novel written in English set in the city. The author sets a good pace that moves the narrative long, though perhaps does a too much direct explanation for my tastes ("now let me give you a Wikipedia-esque article about the origin of the various ethnic groups on the island"). I would have preferred more "learn-by-observing" rather than "learn-by-lecture". The author's English is grammatically flawless but m A fun romp through Taiwan. Having partially grown up in Taiwan, it was fun to see an entire novel written in English set in the city. The author sets a good pace that moves the narrative long, though perhaps does a too much direct explanation for my tastes ("now let me give you a Wikipedia-esque article about the origin of the various ethnic groups on the island"). I would have preferred more "learn-by-observing" rather than "learn-by-lecture". The author's English is grammatically flawless but manages at the same time to feel foreign. Arguably, the phrases thicken the atmosphere, but I found it somewhat distracting. It was so great to read a book set in Taiwan (and I learned a lot about the country!). But the mystery part of it wasn't that well-executed. A murder mystery should have a murder in it fairly near the front, and Ghost Month appropriately puts right on the first page. What’s a little less usual is that then a third of the book goes by before the hero gets around to trying to solve it. Instead, we mostly get the details of his running a food stall in Taipei’s night market. What’s really extraordinary is that this works. Lin is a good enough writer, and his mise en scene is interesting enough, that my attention never flagged. The mise e A murder mystery should have a murder in it fairly near the front, and Ghost Month appropriately puts right on the first page. What’s a little less usual is that then a third of the book goes by before the hero gets around to trying to solve it. Instead, we mostly get the details of his running a food stall in Taipei’s night market. Ed Lin opens a window into a wonderful world I knew nothing about, Taiwan, its night food markets, and the rush of modern life among older traditions. It's fast-paced and off-beat and I liked it a lot. Great book if you’re heading to Taiwan, with vivid descriptions of the night markets and a nice historical orientation. Mediocre book, otherwise. It's Ghost Month in Taiwan. Beginning in August each year, Ghost Month honors deceased ancestors. Incense and money are burned. People visit shrines and temples. Bodies of water are avoided. Jing-nan runs a night market food stall. Unknown Pleasures sells hot fried food and steaming soups. It's a family owned business. It has stood the test of time for decades. Julia, Jing-nan's long time love and high school sweetheart, is found murdered. She was working as a scantily-clad betel nut beauty. Why was this educated wholesome good girl working as a lowly servant selling betel nuts to dirty old men? Julia and Jing-nan have known each other their whole lives. They were destined to be together forever. Jing-nan insists they have no contact AT ALL until he's finished college, employed and ready to marry her. They each head off to college in different parts of America, Jing-nan in California and Julia in New York. After Jing-nan's father dies, Jing-nan quits college and heads back to Taiwan. He's been back for awhile when he finds out about Julia's death in the newspaper. No contact at all for 7 years. He wasn't even aware she was back in Taiwan. The police aren't investigating her death. Julia's parents ask Jing-nan to find out anything he can about her death and her secret life. Jing-nan contacts old classmates of theirs to find out what they know, if anything. Jing-nan has dangerous people watching him. It was super easy to follow. The main characters are easy to get to know and like. The ONLY thing I didn't like was the book is EXTREMELY detailed. Everything is explained in vivid never-ending detail. I WOULD recommend this but I give you fair warning. Before writing this review today, I found out today, August 10th, is the start of Ghost Month for 2014. In the search for mysteries from around the world, I came across this book, a mystery set in Taiwan. I have wanted to start this several times over the last two or three years, but some other book always seemed more immediate, more urgent, or more important. In preparing for a three month stay in Taiwan, I decide that it was time to read this. And I am very glad that I did! This is a very good book on several levels. First, as a mystery; second, as a coming to terms with a close friend’s death; a In the search for mysteries from around the world, I came across this book, a mystery set in Taiwan. I have wanted to start this several times over the last two or three years, but some other book always seemed more immediate, more urgent, or more important. In preparing for a three month stay in Taiwan, I decide that it was time to read this. And I am very glad that I did! This is a very good book on several levels. First, as a mystery; second, as a coming to terms with a close friend’s death; and finally, as a primer for a view on Taiwan. The book’s first sentence sets the stage for a very direct approach to the storyline: When I found out the girl I was going to marry had been murdered, I was sitting on a foldout stool at a sidewalk noodle shop in Taipei’s Da’an District. We learn more about the protagonist, Jing-nan, throughout the book, and that of the dead girl-friend, Julia. The mystery is pealed back very nicely, a layer at a time. And there are several very colorful characters. What I found especially helpful, given I am going to be in Taiwan, is the richness in the text and in the 13-page Glossary of terms about Taiwan, which is more like a tutorial on some of the aspects of Taiwan culture that the author talks about. However, as a warning, if you are not interested in the perspective on Taiwan, you may find parts of the text distracting from the storyline …! With respect to Taiwan, the picture painted by the author highlights several tensions in Taiwan’s society, between people who were in Taiwan prior to the massive influx of Chinese after the loss to the communists; between the aboriginal people and everyone else; between the rich and those trying to make ends meet. There is also a darker side the author portrays of organized crime, manipulation by the CIA, and corruption of the rich and powerful. On the other hand, the author shows a clear love of the night-markets, and the hard-work of those in Taiwan. I recommend the book, and hope others will appreciate the effort by the author to education others about some aspects of Taiwan’s evolving culture. This novel is as complicated and inscrutable as the Chinese, and probably could have been split into two or three books. It is a detailed history if Taiwan, a deep look at the culture and its people from the original aborigines to its more recent takeover following the civil war on the mainland and the settlement of the forces led by Chiang Kai-shek. Then it is a love story of sorts. And lastly, it is a mystery. The story takes place during Ghost Month, a period in which the dead are commemorated. A haunting time. The plot tells of the love of Jing-nan and Julia ever since they were toddlers and what happens to them when they grow up. They pledged themselves to marriage, but then left for the United States and college on separate coasts with no contact. When his parents died, he was forced to take over operation of the family food stall at a night market. She returns to Taipei only to be shot dead, and he undertakes to find out why and by whom. While the writing is clear and concise, I found the various digressions overwhelming, making it hard for this reader to maintain any kind of pace. It might have been a better read if the novel had been simplified, omitting a lot of extraneous albeit interesting information of the peoples and history of the island. The book is recommended for those who enjoy such a deep and penetrating picture of Taiwan. A murder-mystery set in a night market in Taipei, Ghost Month entertains from start to finish in spite of the occasional stumble. Protagonist Jing-nan is a regular working stiff who owns a stall in the night market, selling food to locals and tourists alike. When his high school lover is murdered, he becomes an impromptu detective and deals with local gangsters, corrupt police, and the CIA. 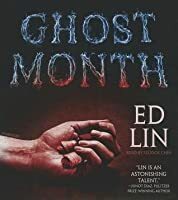 I loved the scenes within the market that were food-centered; Lin certainly knows his way around the local A murder-mystery set in a night market in Taipei, Ghost Month entertains from start to finish in spite of the occasional stumble. Protagonist Jing-nan is a regular working stiff who owns a stall in the night market, selling food to locals and tourists alike. When his high school lover is murdered, he becomes an impromptu detective and deals with local gangsters, corrupt police, and the CIA. I loved the scenes within the market that were food-centered; Lin certainly knows his way around the local cuisine and its culture. Some of the dialogue felt stilted and there are a few expository moments that, although fascinating in terms of Taiwan's historical relationship with China, bogged down the pace of the narrative. I immediately thought of Walter Mosley's brilliant Easy Rawlins series of books; Mosley has a real knack for providing the context of the times (1940s-60s Los Angeles) without it overwhelming his story. I have really been enjoying the Asian cultural themes I seem to have been reading about lately. This book was an interesting take on Ghost Month in Taiwan. Comparatively it was a shallow mystery but a good enough story nonetheless. Great book but I felt finding out what happened to Julia was a little anticlimactic, and not as thrilling as I hoped. I'm in love with the characters and Taiwan though and will be picking up the next book.